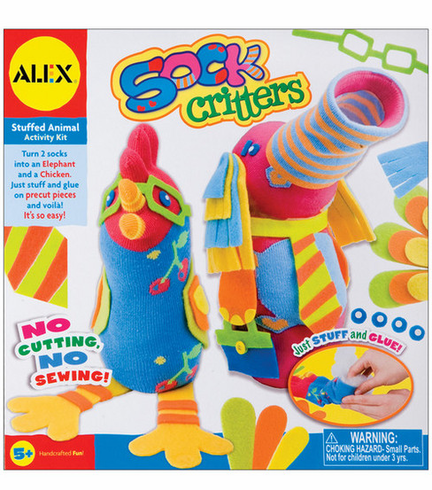 Alex Sock Critters lets kids turn two colorful socks into a chicken and an elephant. Just stuff, glue and you’re through. It comes with precut fleece pieces and felt shapes, 1 tube sock, 1 five-toed sock, buttons, 2 cardboard disks, 6.35 pounds of stuffing, glue and easy instructions.